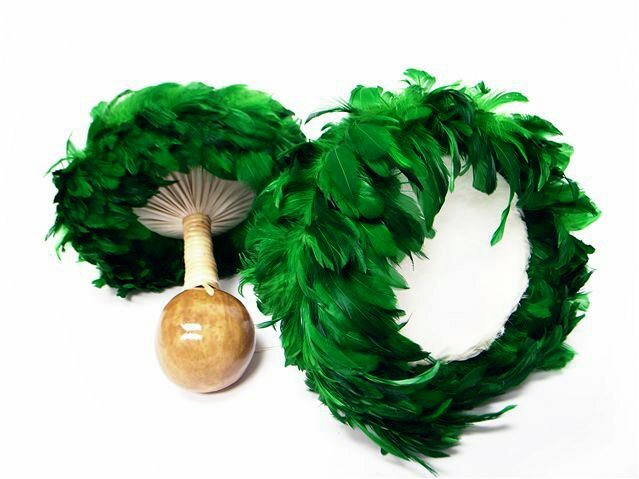 This `Uli`Uli Customized item will allow customers to request different colors for the outter and inner feathers. Customers may also request a specific color, such as, light blue; for orders with specific colors, please indicate the color in the "Special Request" field. These custom orders usually may take up to two weeks depending on the order size and season. Depends on feathers stock status, it may take 4-6 weeks. Also please note that return can not be accepted. The feathers may change shape due to our packaging method, but this can be easily re-set by using your hands. 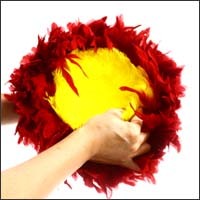 Gently pull in the outermost part of the yellow feathers inwards and hold in place for a couple of seconds. 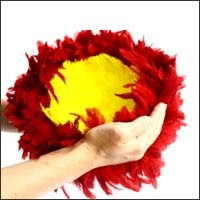 Cuff the palm of your hand against the red feathers and assist the feathers inwards, holding them in place momentarily. 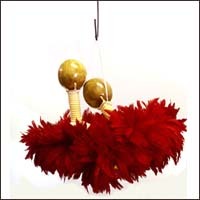 Hanging them upside down, like so, will help to maintain the feather's shape.